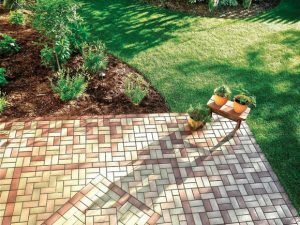 AZEK Pavers® are breaking the traditional mentality that landscape pavers must be made from concrete or clay. Made from up to 95% recycled materials, patented AZEK Pavers are the most technologically advanced and socially responsible paver alternatives in the industry. 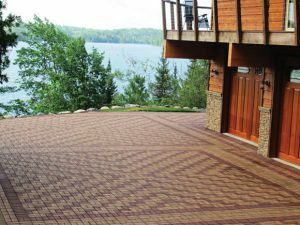 Using a patented grid system that dramatically reduces installation time, AZEK Pavers takes the frustration and difficulty out of manually setting and aligning heavy concrete pavers. AZEK Pavers help projects earn LEED® certification easier than any other pavement. Additionally, AZEK Pavers can outperform other pavements, such as pavers with fly ash, by more than ten-times. AZEK Pavers are the first composite material in the world made almost entirely of recycled content with the physical strength, durability and natural appearance to replace concrete. 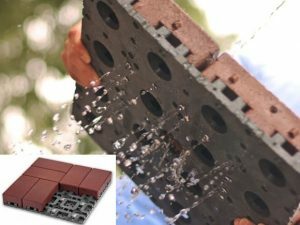 AZEK Pavers utilizes up to 95% post-consumer recycled materials (scrap tires and plastics), requires 94% less energy and releases 96% less carbon dioxide than concrete product manufacturer. Versatility and customization are the key attributes of AZEK Pavers. 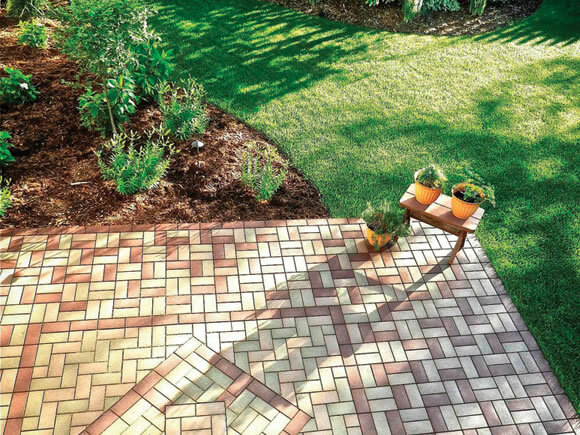 With five stone-like color options, you can mix-and-match your paver surface to create a truly unique design. Customize your project to match your personal style with one of our three patterns - Running Bond, Herringbone or Basketweave.